The Misty Mint cocktail is ridiculously easy to make. 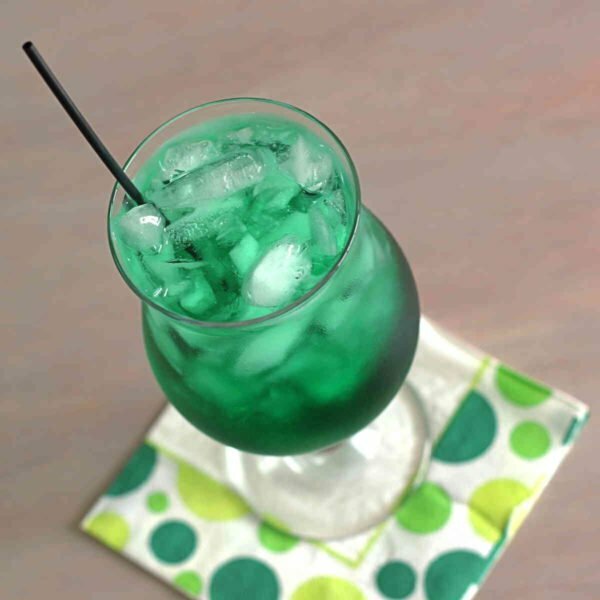 It’s a twist on a recipe I found in a book once, which was even simpler: just creme de menthe over ice. But for some – like me – that’s an overwhelming concentration of mint flavor. So I came up with this drink recipe, as a refreshing yet still simple alternative. You could use vodka in place of rum, if you prefer a pure but slightly weakened mint flavor. The rum adds a touch of sweetness with hints of caramel or molasses. This is a nice drink for cooling off, but it can also be great in cold weather, since mint is a traditional winter flavor. If you’re cold, you can leave out the ice – just pour the two ingredients into a glass at room temperature and serve. This cocktail is sweet, but not too heavy, and the ice waters it down just the right amount. Of course, if you want it to be more intense, you can also stir the two liquors in a glass with ice, and then strain the mixture into a glass. Either way, it’s great to sip on all by itself, or you can serve it with lamb or chicken dishes, like these Persian-Spiced Lamb Shanks, with cinnamon, nutmeg, turmeric and more to make a nice contrast with the mint. 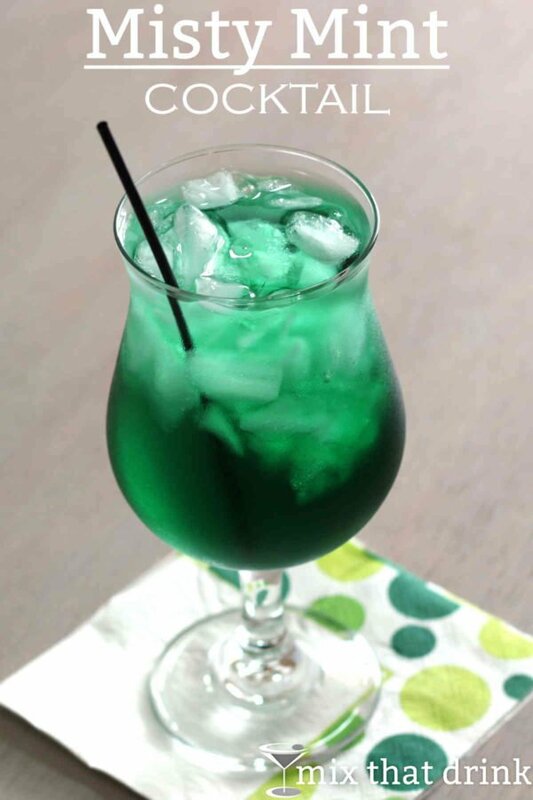 You could obviously garnish this one with a sprig of mint, but I didn’t because the two different green colors – the drink and the mint – clashed. I think this one looks great on its own, but if you want to be fancy for guests or something, I’d suggest laying a chocolate covered mint stick across the top. Or even a candy cane with green and red stripes. If you like this one, check out the Junior Mint, which adds a chocolate flavor to the mint. Or if you need something creamier and more like a dessert in a glass, try the Grasshopper. Fill a hurricane glass three-quarters of the way with crushed ice. 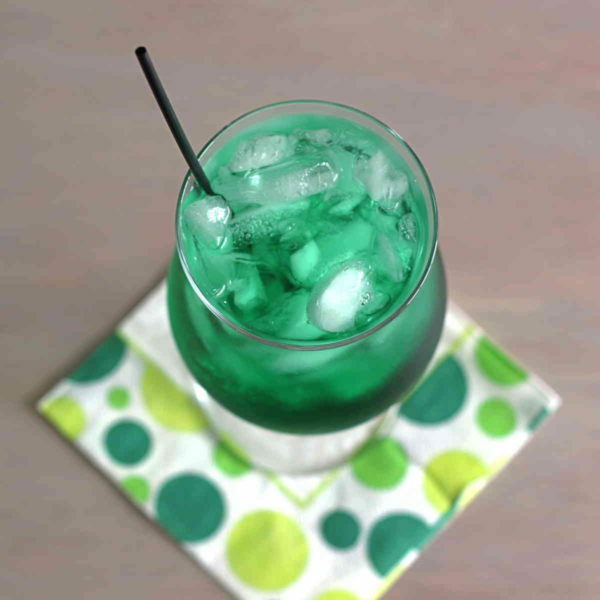 Pour in the creme de menthe, followed by the rum, and stir until mixed. Garnish with mint and serve. Can you please explain how you get so much in a glass form only 2 1/2 oz of alcohol? LOL Are you adding soda water?? How many does this serve? I have to serve 40 guests and need to know how many bottles to buy. This is just for one drink. What do you mean? The amounts for each ingredient are in the recipe.